J.M. 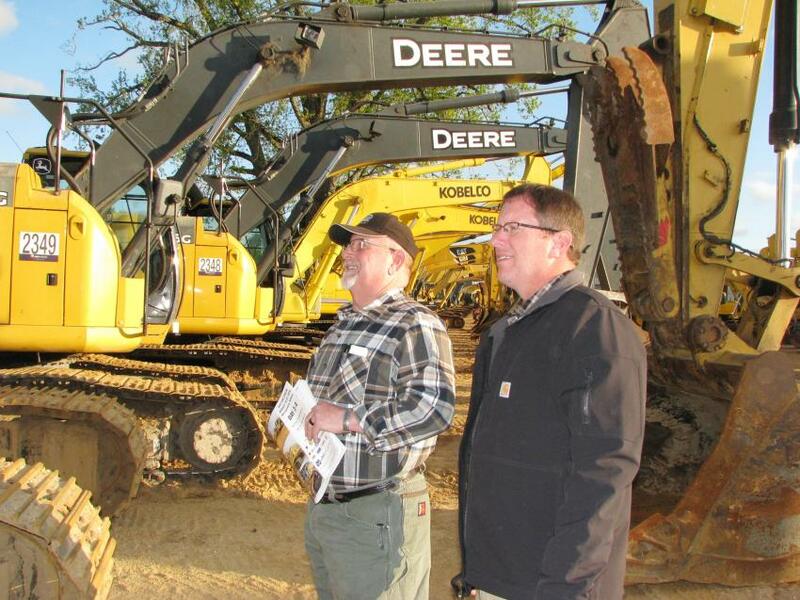 Wood Auction held its 46th annual spring auction at its headquarters in Montgomery, Ala, March 19 through 22. 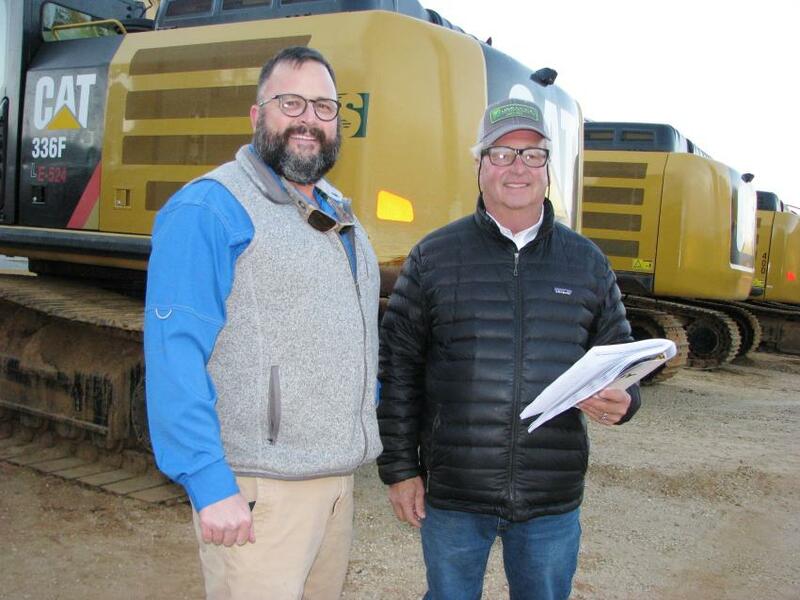 The sale included a lineup of construction equipment, trucks, trailers, and forestry equipment with more than 5,000 lots generating $77.4 million in total sales across the ramp and $16.8 million in online sales. "Prices were as strong as we've seen in recent years," said company President Bryant Wood. 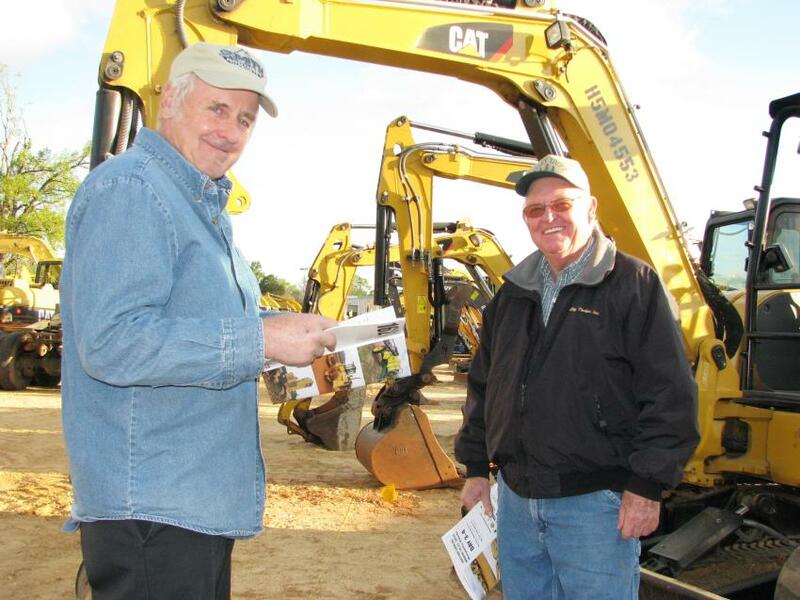 "The spring auction gets bigger and better every year. 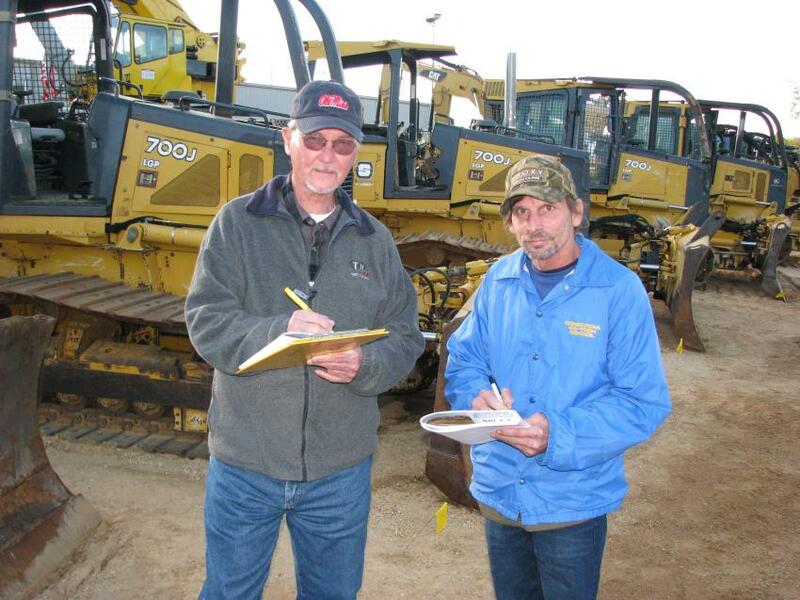 Contractors know to come here every year, and we'll have the nicest equipment of any auction year in and year out." Featured sellers included the state of Alabama, Alabama Power Company, Southern Company, Brasfield and Gorrie, Wiregrass Construction, C.W. 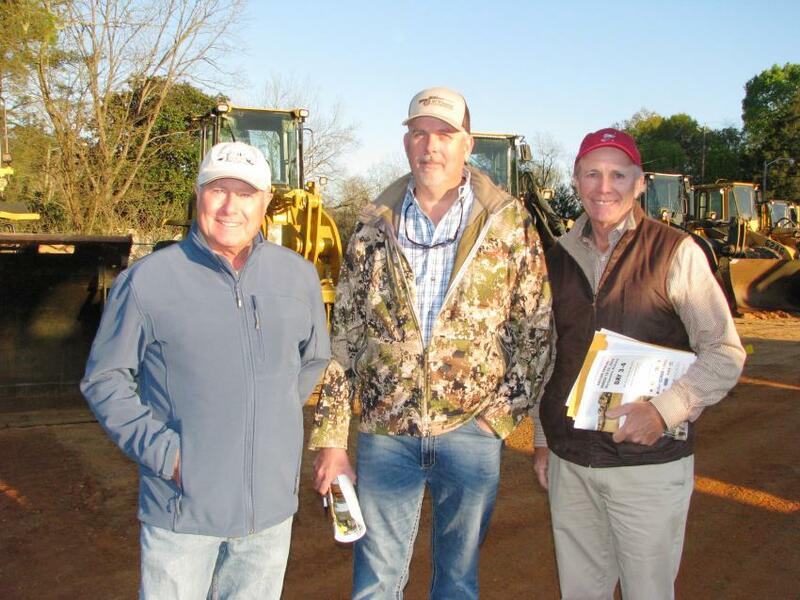 Roberts, Claiborne Hauling, Joe McGee Construction, Reed Contracting, Gulf Services, state of Tennessee counties, state of Florida counties and more than 500 others. 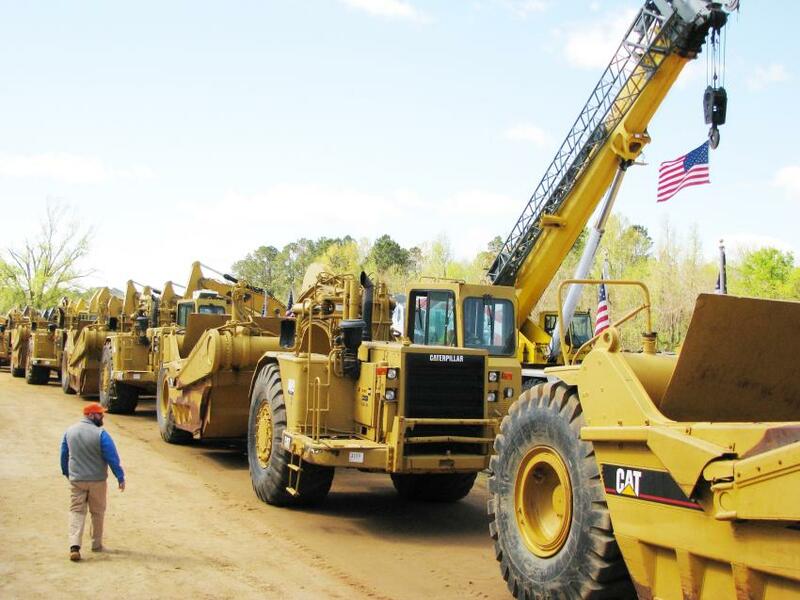 Highlights of the auction included more than 200 Kenworth and Mack dumps from Alabama counties. 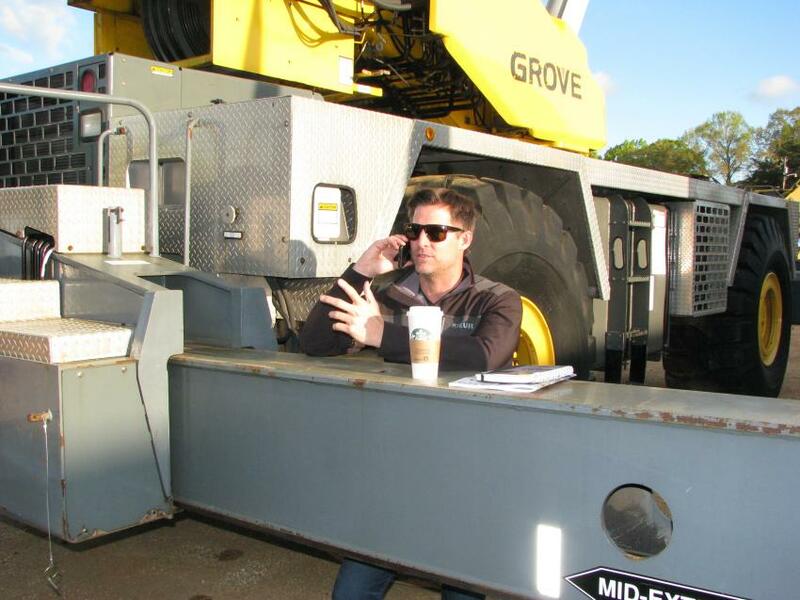 Another hot item was a 130-ton Grove rough terrain crane from Alabama Power that brought $200,000. 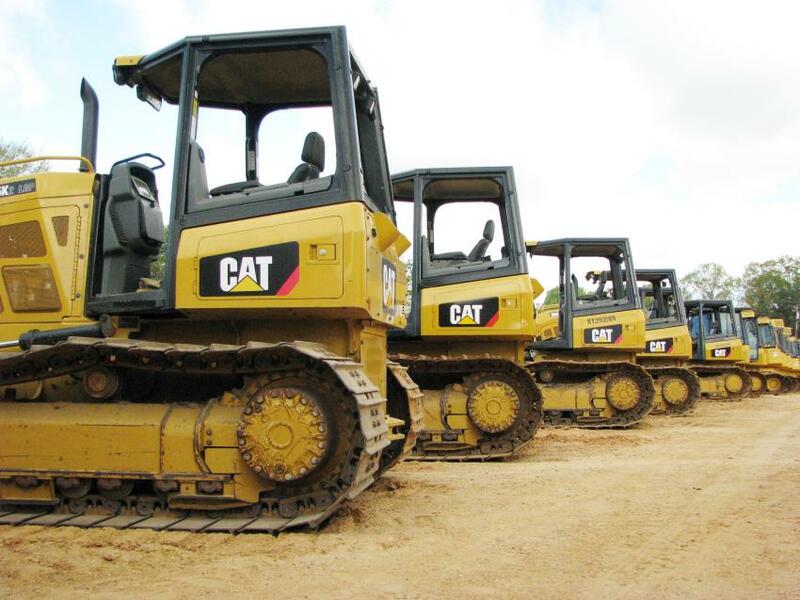 A fleet of 1997-2001 year model Cat D8Rs, Cat 621Fs and Cat 815Fs from Alabama counties all brought in more than $200,000 each. 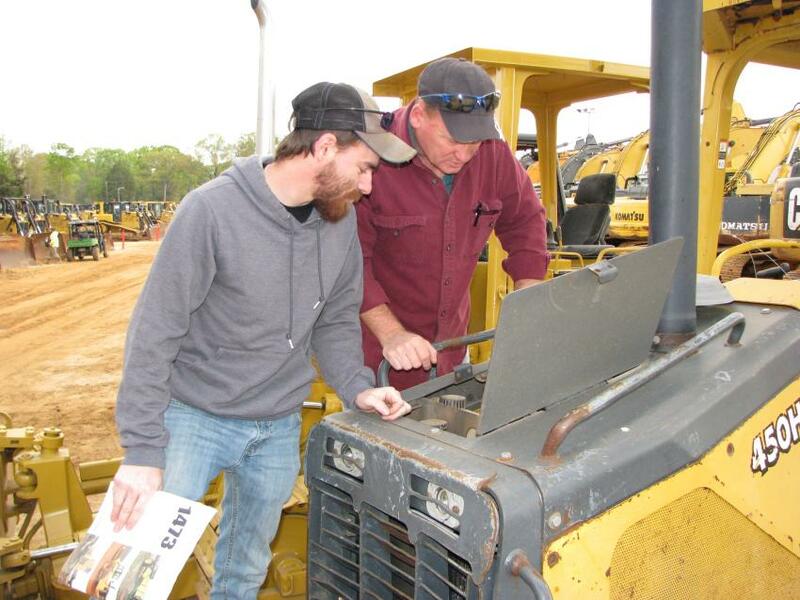 Deep in conversation about eight Cat D5K machines in the sale are Bob Chisenhall (L) and his nephew Curtis Chisenhall of Chisenhall Excavating, Fort Payne, Ala. 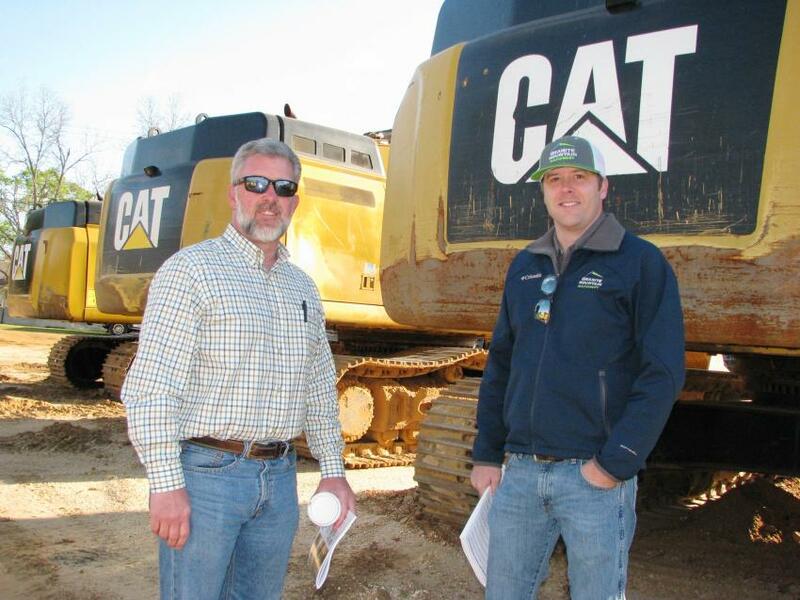 Looking over some of the big Cats are James King (L) and Caleb Phillips of Granite Mountain Machinery, Conyers, Ga. 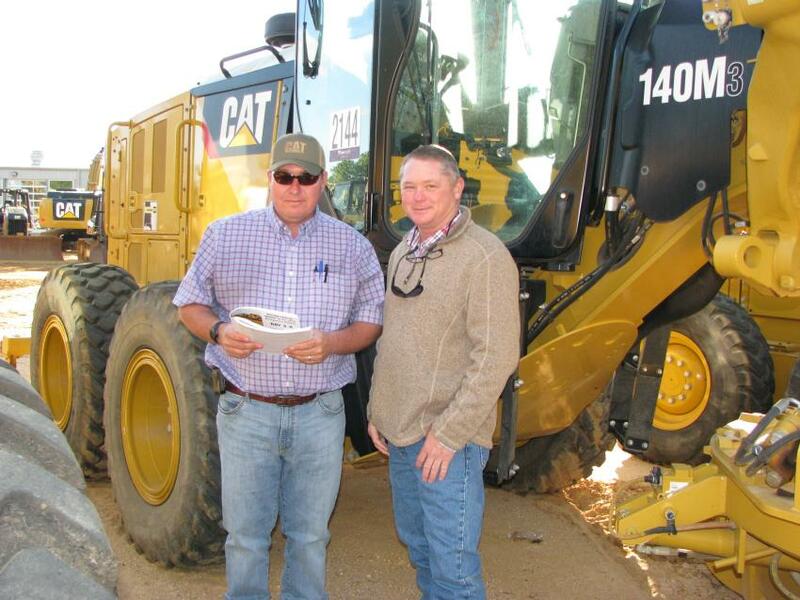 Some nice motorgraders, including several Cat 140M3s, piqued the interest of Cam Lanier (L) and Keith Bollendorf of Evergreen Construction, Opelika, Ala. 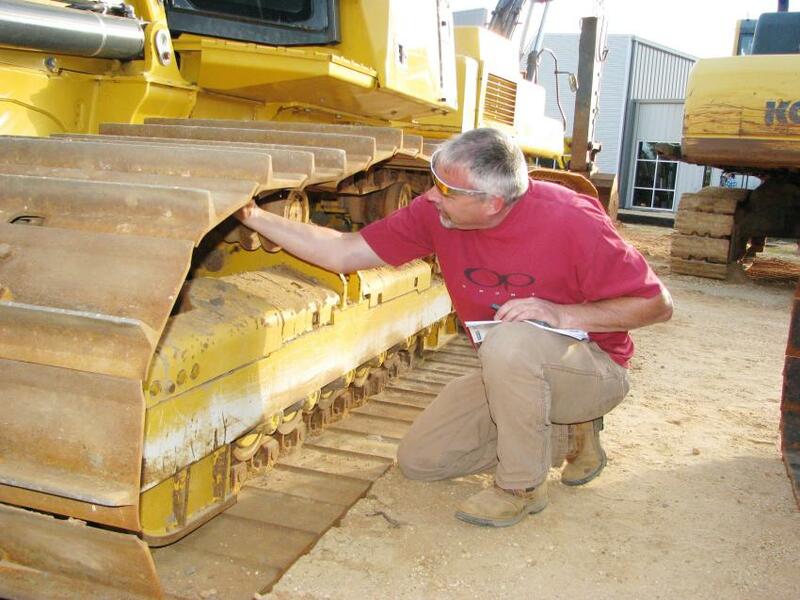 Checking under the hood of a John Deere 450H crawler tractor are first-time J.M. 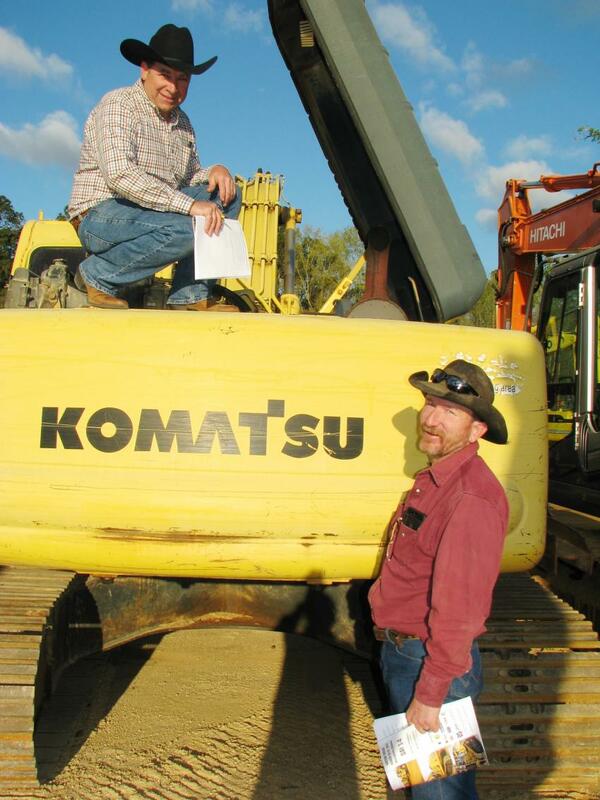 Wood auction attendees James (L) and Jay Shaffer of JIT Transport, Johnstown, Pa.
Tim Thomas (L) of Tractor & Equipment Co., Birmingham, Ala., and Rick Nesius of Talcon Group, Tallahassee, Fla., discuss the Komatsu machines of common interest. 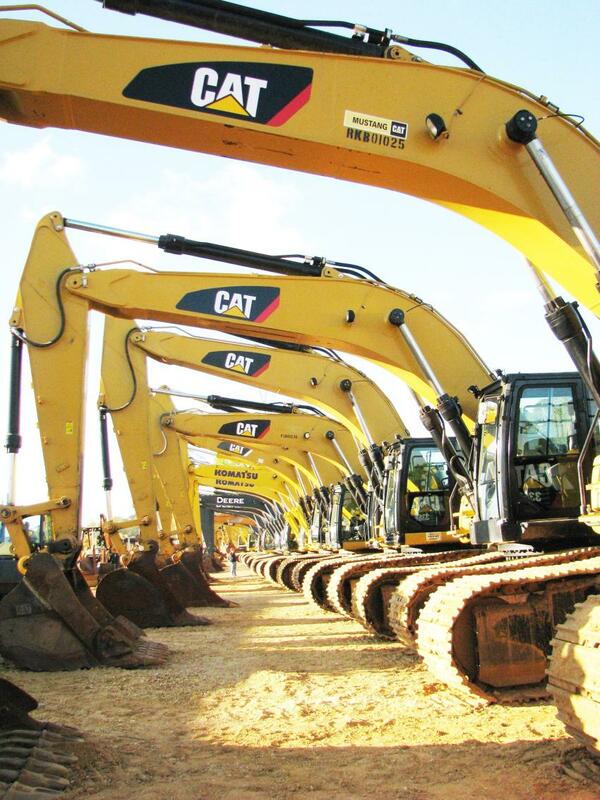 A large lineup of excavators was available at the sale. 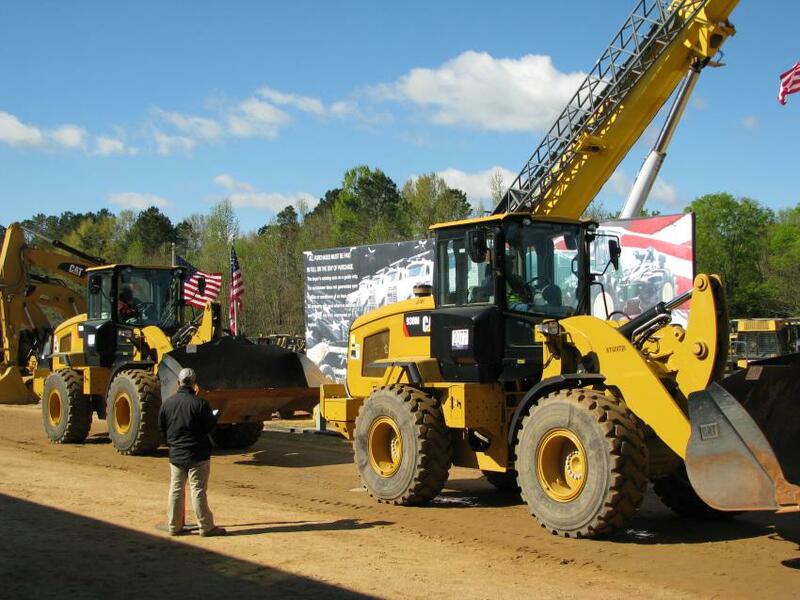 Low-hour, late-model Cat 930M wheel loaders rolled off the ramp in the $140,000 range. Leading the way at the front of a large selection of scrapers were six well-maintained Cat 631Es. 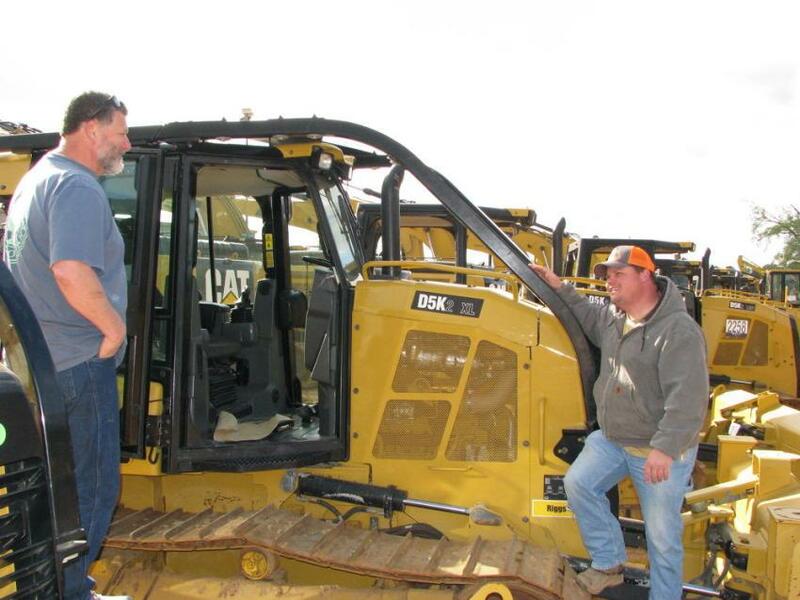 Quality midsized Cat dozers were a big draw for the crawler tractors available in the sale. J.M. Wood’s George Massey (L) fields questions from Donnie Elkins of Elk Mountain Construction, Cookeville, Tenn., on some machines of interest..
(L-R): Chris Pate, Sink Creek Preserve, Alpha, Fla.; Jeff O’Bryan, Longleaf Timber Products, Bristol, Fla.; and Jerry Pate, Jerry Pate Co., Pensacola, Fla., have an early-morning discussion on the construction equipment offered on day three of the four-day sale. 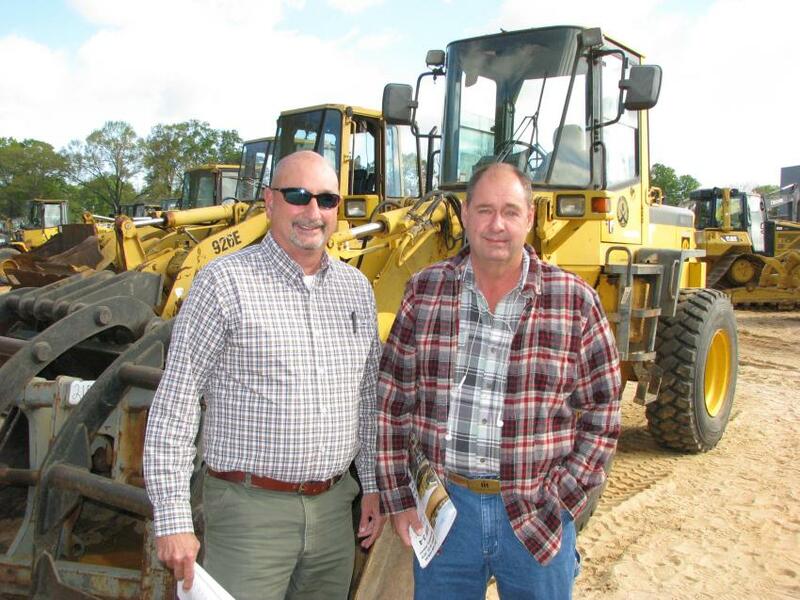 A lineup of excavators was of interest to John Waites (L) and J. E. Waites of John S. Waites & Sons Contractors, Talladega, Ala. Looking over some of the mini-excavators are Danny Wagner (L) of Wagner Excavation, Fort Payne, Ala., and Jimmy Hester of Valley Timber, also based in Fort Payne, Ala.
Inspecting the power plant of a Komatsu PC200LC are Daniel Nissley (L) of Nissley Equipment, Columbia, Ky., and Sud Danks of Chimney Rock Farms, Lewisburg, Ky.
One of the outriggers of a big Grove RT9130E, 130-ton crane at the auction served as a makeshift desk for Blake Thornton of BTM Machinery, Mount Pleasant, S.C.
A couple of farmers talking about some of the backhoe loaders of common interest were Tony Sales (L), Poarch Creek Indians, Atmore, Ala., and Matt Johnson of Johnson Cattle Co., Brent, Ala.
John Mullis of Mullis Trucking & Grading, Concord, N.C., checks out a John Deere 700K crawler tractor. 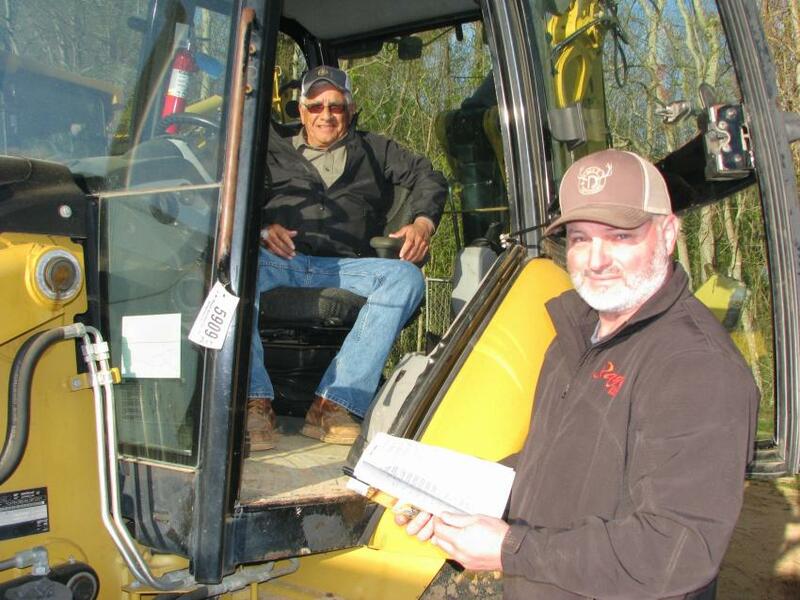 Jotting notes on some of the machines about to be sold are John McClendon (L) and Gary Butler of McClendon Farm Equipment Sales, Houlka, Miss.